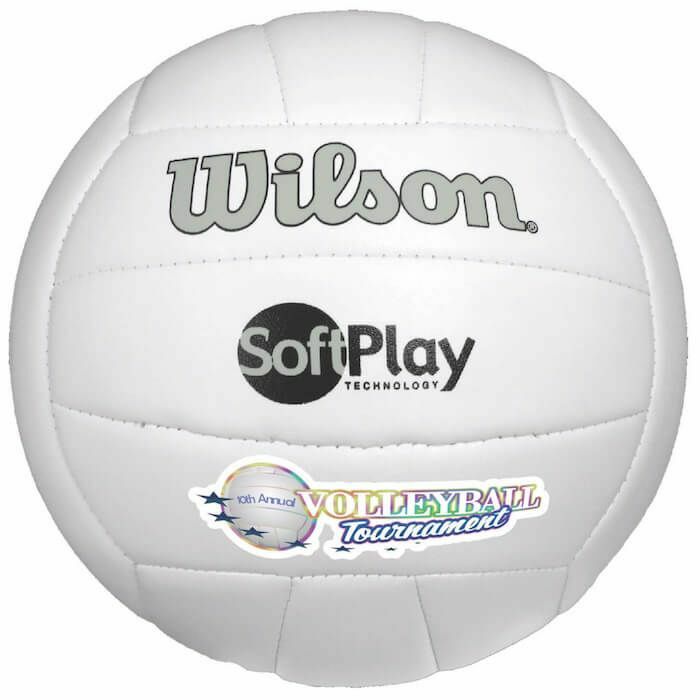 Wilson® Premium Synthetic Leather Volleyballs feature a re-inflatable athletic valve. Official size and weight. NOTE: Full-sized balls will be shipped deflated. Please click here for ball inflation instructions. Please contact us if you need them shipped inflated. Inflated full-sized balls increases shipping costs significantly. Imprint Area 4"W x 1"H Oval. NOTE: on Full Color Prints: Printed on a transfer material that is permanently adhered with heat. Production Time 5 business days. Rush: 2 business days ($15.00 charge per 25 balls per side applies and virtual proofs are not possible with rushes). Express shipping options available at check out. Production times are usually firm, but may vary depending on production schedules.